Tired of selecting the signs from Radical Menu? 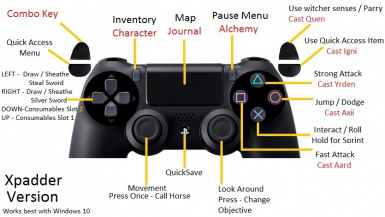 Exploit all the power of the Signs while using the amazing features of the DS4! 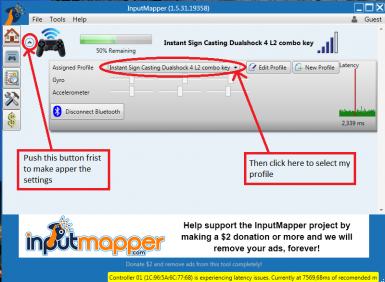 This is a Profile for InputMapper or Xpadder that allows you to use the tweak by xpizdax "Instant Sign Casting" on your favorite gamepad. You will finally be able to exploit the full power of the Signs. 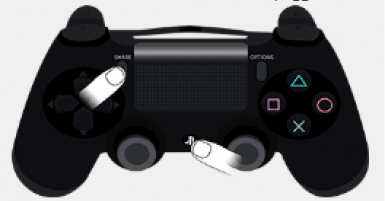 The combats will be faster and smoother for you will enter the Radical menu a lot less. Once you had a taste of this mod you will never want to go back! 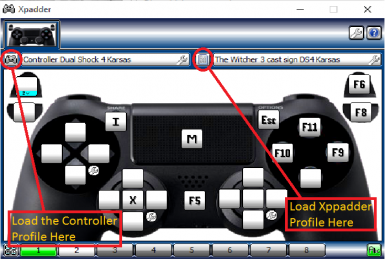 This will make The Witcher 3 Wild Hunt more similar to the Dragon Age Inquisition experience. 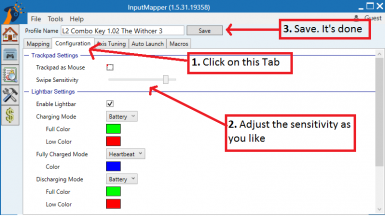 After the frist time all you need to do is start InputMapper and then the game. 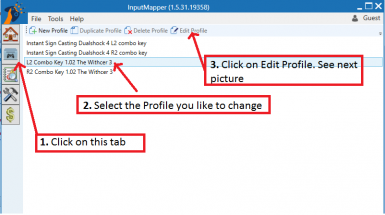 There are two Input Mapper profiles, one with R2 like combo key and, the one I use, with L2 combo key. Is up to you choose the one you like most. 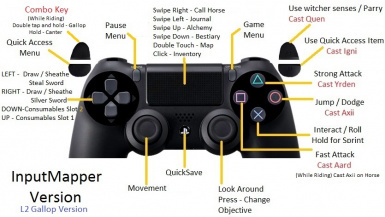 L2 = combo key, it does not have any function if pressed or holded alone.